Neil Young’s latest archival album, Songs For Judy, is his twenty-fourth live recording but stands out for its focused scope and for the historical moment that it conjures. The record comprises twenty-three live cuts from the U.S. leg of Young’s 1976 tour with Crazy Horse, which ended a few days before the singer joined The Band for their final show, immortalized on film as Martin Scorsese’s The Last Waltz. With that context in mind, Songs For Judy arrives as an uncanny anachronism, a sonic snapshot of an artist mid-flight of a major career ascent. Since Young has released five studio albums in the last five years (and shows no signs of slowing down), hearing Songs in 2019 feels akin to discovering a loose floorboard in an attic with an intriguing time capsule buried under the wood. The performances captured on Songs For Judy derived from Young’s practice of surprising crowds with an acoustic set before plugging in with Crazy Horse, and the tracks radiate camaraderie, intimacy and the mind-freeing affordances of cannabis. Among the collection’s most charming moments would be a loopy monologue that precedes “Too Far Gone” and gives the album its inside-joke of a name. Above the screams and whistles of the crowd at Atlanta’s Fox Theater, Young launches into a back-and-forth with the “loud, boisterous mothers out there,” first teasing and then telling an anecdote about how he spotted Judy Garland earlier that night “down in the pit there,” in a red dress and red lipstick, holding the sheet music for “Somewhere Over the Rainbow.” Given that Garland died seven years earlier from a barbiturates overdose, the notion of her ghost calling up to Young asking, “How’s the business, Neil?” sets a tone: bordering on the profane but always brushing up against the mystical. Songs For Judy includes early-career favorites like “Heart of Gold,” “After the Gold Rush” and “Harvest,” as well as the never-before-released piano ballad “No One Seems To Know.” The latter song, following Young’s bawdy rendition of “Too Far Gone,” attests to the varying emotional shades in which Young’s music has always managed to color. During “Too Far Gone,” every pause between chords is filled with screams coming from crowd members meeting Young exactly where he’s at: singing about drugs and long drives while accentuating melodies with extemporaneous, spoken thoughts like “It was a little noisy at the bar that night, but he had a great time anyway.” By contrast, “No One Seems To Know” unfolds in total silence, the crowd receiving Young’s plaintive piano chords with a reverence that shocks given their usual rowdiness. The silence matches the song’s message about spiritual and literal isolation; given this congruity between its lyrical meaning and its live form, this inaugural recording feels like the only one we’ll ever need. At various points, Young accompanies himself on guitar, harmonica, piano and banjo, his facility on the first three instruments highlighting a slight deficit on the latter. (The banjo on “Human Highway” sounds a bit like a novice chugging their way through an early song, the chords clanging and the finger-work occasionally missing its mark.) “Harvest,” on the other hand, showcases Young’s ability to generate texture around the simplest chords, his right hand doing double-duty by strumming and adding little riffs that depart from the 1971 studio recording. To a guitar aficionado, Songs For Judy will offer ample opportunities to nerd out, as one hears an attack on the acoustic strings that often gets swallowed by other instruments in the studio. 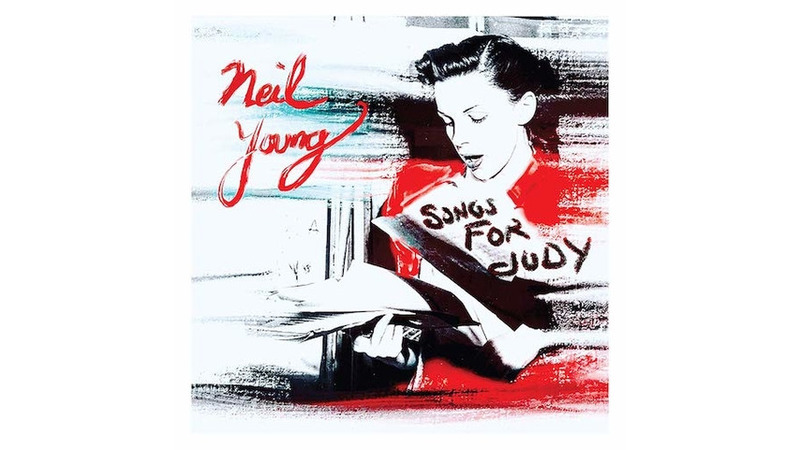 Depending on the level of one’s Neil Young fandom, Songs For Judy will sound either like a rougher, occasionally imperfect and thus inessential rendition of his early work or like a collage of archival material that excavates an exceptional moment in American musical history. The first time I played the album through, I found it unlistenable as a whole given the flaws that plague any live recording, thanks to variables that surface outside the soothing consistency of a studio. The question of who gets forgiven for such peccadilloes—a missed string, a note that slides flat—and whose career they’ll tarnish has a lot to do with gender and genre, and Neil Young signifies exactly the type of “authentic” folk-rocker whose live albums are inevitably praised rather than trashed for their gravelly imperfections. Songs For Judy plays best if a listener can manage to ignore such contextual inequities and instead immerse themselves in the slice of time and space that the album brings to life. While you might hear a clumsy banjo solo or an out-of-tune string, you can also practically smell the booze-soaked floorboards of some music hall in 1976 and feel the current of anticipation riling up a crowd as they witness a gifted performer and anticipate one of the late twentieth century’s most dynamic backing bands. History looks rosy or infuriating depending on your perspective. Given the many aesthetic victories on Songs For Judy, it’s worth giving this singular compilation at least one chance.